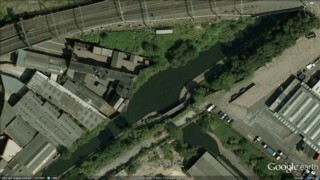 The Digbeth Branch of the Grand Union Canal seen by Google Earth. 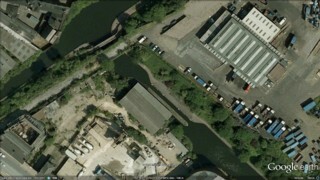 La Branche de Digbeth du Grand Union Canal vue par Google Earth. 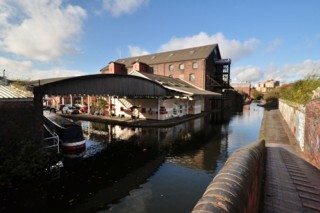 Proof House Junction Bridge No.9 seen from the North. Le Pont n°96 du Confluent de Proof House vu du Nord. 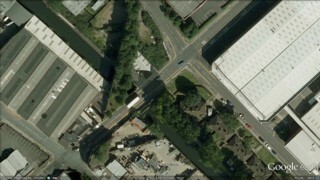 Proof House Junction seen by Google Earth. Le Confluent de Proof House vu par Google Earth. 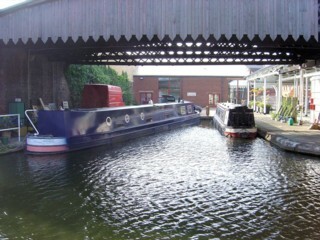 Proof House Railway Bridge seen from the South. Le Pont Ferroviaire de Proof House vu du Sud. 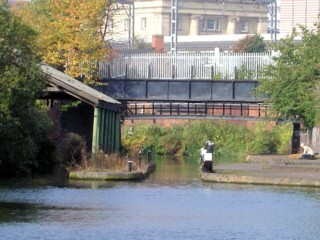 Warwick Bar Stop Lock seen from the North. L'Ecluse de la Barrière de Warwick vue du Nord. 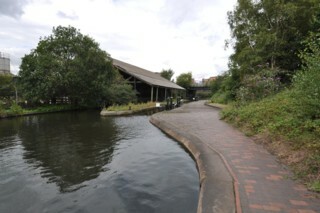 Warwick Bar Stop Lock seen by Google Earth. L'Ecluse de la Barrière de Warwick vue par Google Earth. 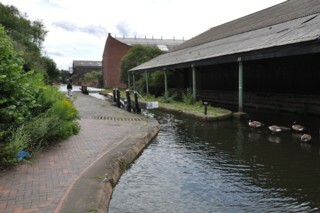 Looking to the South, the Digbeth Branch of the Grand Union Canal seen from Warwick Bar Stop Lock. 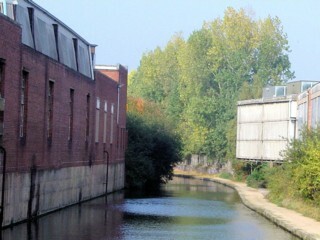 Les regards portés vers le Sud, la Branche de Digbeth du Grand Union Canal vue de l'Ecluse de la Barrière de Warwick. Bordesley Aqueduct seen from the South. 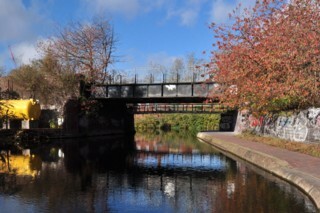 Le Pont Canal de Bordesley vu du Sud. 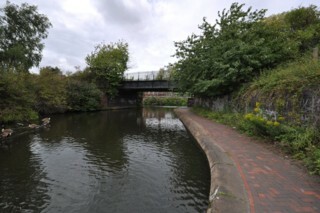 Bordesley Aqueduct seen by Google Earth. 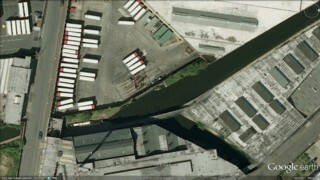 Le Pont Canal de Bordesley vu par Google Earth. 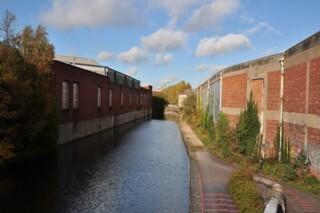 Looking to the North, the Digbeth Branch of the Grand Union Canal seen from Bordesley Aqueduct. 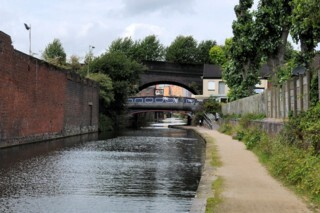 Les regards portés vers le Nord, la Branche de Digbeth du Grand Union Canal vue du Pont Canal de Bordesley. 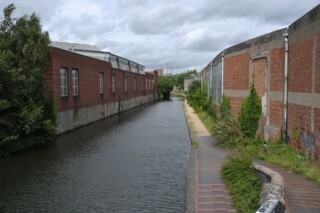 Looking to the South, the Digbeth Branch of the Grand Union Canal seen from Bordesley Aqueduct. 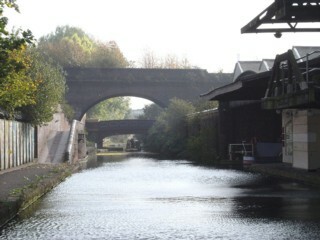 Les regards portés vers le Sud, la Branche de Digbeth du Grand Union Canal vue du Pont Canal de Bordesley. 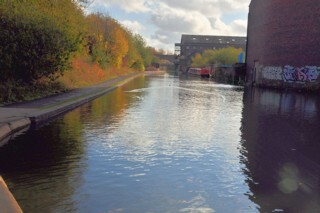 Looking to the South, the Digbeth Branch of the Grand Union Canal to the South of Bordesley Aqueduct. 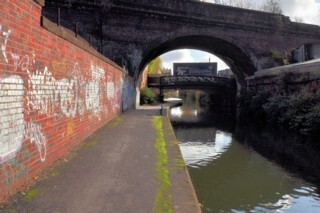 Les regards portés vers le Sud, la Branche de Digbeth du Grand Union Canal au Sud du Pont Canal de Bordesley. 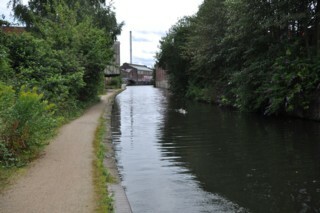 Mooring to the South of Bordesley Aqueduct. 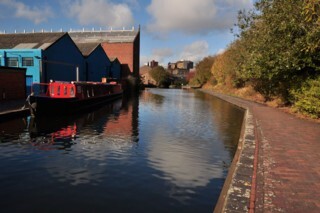 Amarrage au Sud du Pont Canal de Bordesley. 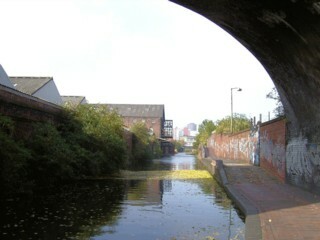 Looking to the North, the Digbeth Branch of the Grand Union Canal to the North of Great Barr Street Railway Bridge. 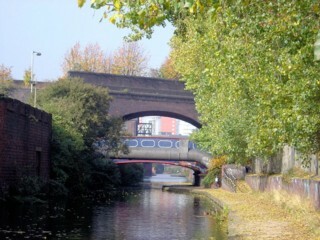 Les regards portés vers le Nord, la Branche de Digbeth du Grand Union Canal au Nord du Pont Ferroviaire de la Great Barr Street. 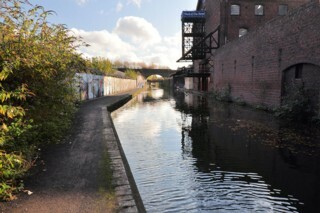 Great Barr Street Railway Bridge seen from the North. 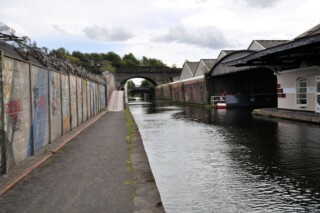 Le Pont Ferroviaire de la Great Barr Street vu du Nord. 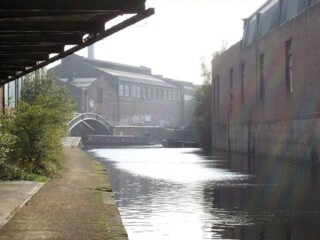 Great Barr Street Bridge No.95 and Great Barr Street Railway Bridge seen from the North. Le Pont n°95 de la Great Barr Street et le Pont Ferroviaire de la Great Barr Street vus du Nord. Great Barr Street Bridge No.95 seen from the North. Le Pont n°95 de la Great Barr Street vu du Nord. 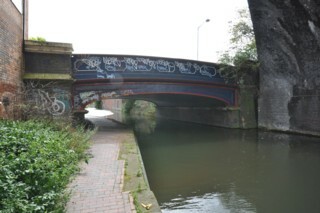 Great Barr Street Bridge No.95 and Great Barr Street Railway Bridge seen from the South. Le Pont n°95 de la Great Barr Street et le Pont Ferroviaire de la Great Barr Street vus du Sud. 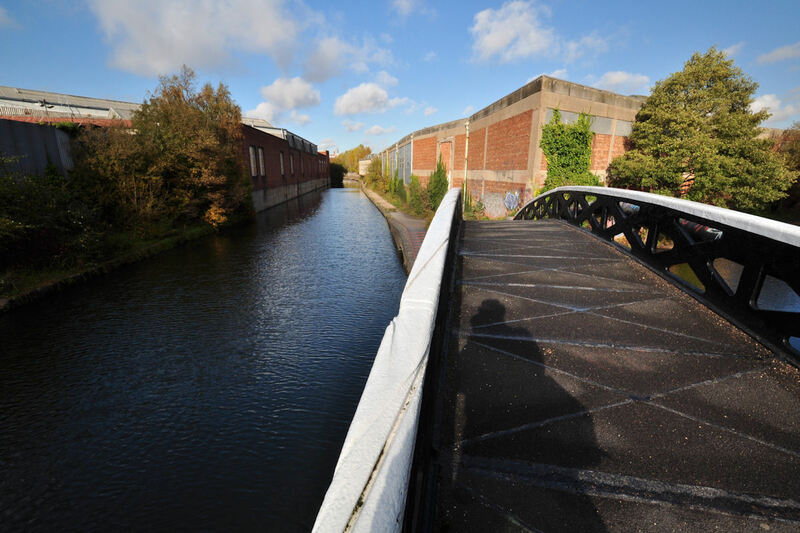 Great Barr Street Bridge No.95 seen by Google Earth. 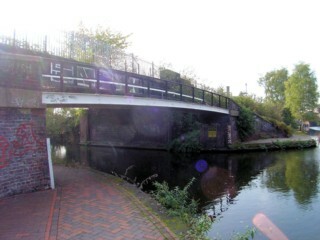 Le Pont n°95 de la Great Barr Street vu par Google Earth. 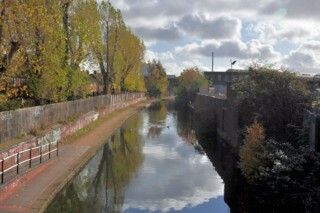 Looking to the North, the Digbeth Branch of the Grand Union Canal seen from Great Barr Street Bridge No.95. 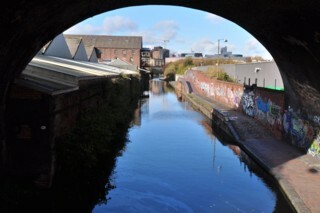 Les regards portés vers le Nord, la Branche de Digbeth du Grand Union Canal vue du Pont n°95 de la Great Barr Street. 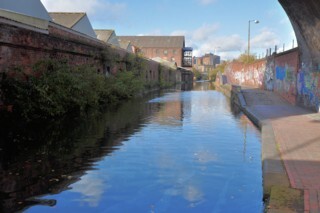 Looking to the South, the Digbeth Branch of the Grand Union Canal to the South of Great Barr Street Bridge No.95. 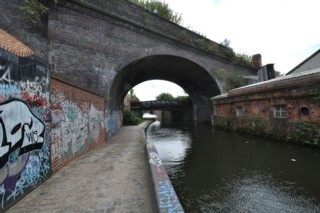 Les regards portés vers le Sud, la Branche de Digbeth du Grand Union Canal au Sud du Pont n°95 de la Great Barr Street. 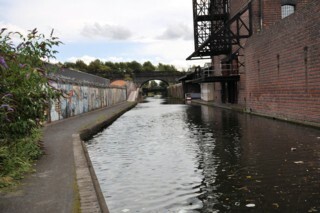 Looking to the North, the Digbeth Branch of the Grand Union Canal to the South of Great Barr Street Bridge No.95. 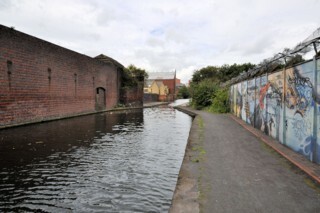 Les regards portés vers le Nord, la Branche de Digbeth du Grand Union Canal au Sud du Pont n°95 de la Great Barr Street. 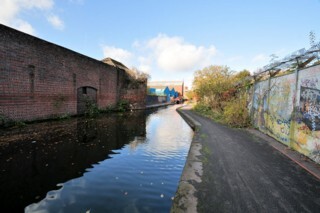 Looking to the South, the Digbeth Branch of the Grand Union Canal to the North of Bordesley Junction. 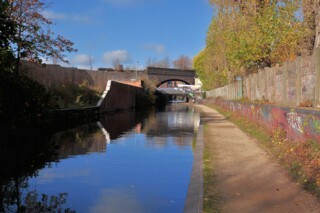 Les regards portés vers le Sud, la Branche de Digbeth du Grand Union Canal au Nord du Confluent de Bordesley. 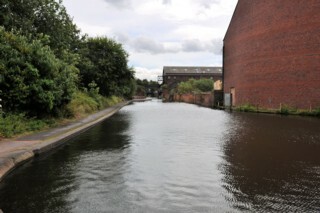 Looking to the North, the Digbeth Branch of the Grand Union Canal to the North of Bordesley Junction. 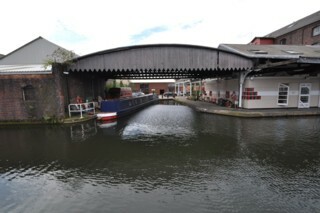 Les regards portés vers le Nord, la Branche de Digbeth du Grand Union Canal au Nord du Confluent de Bordesley. 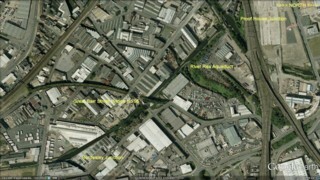 Bordesley Junction seen by Google Earth. 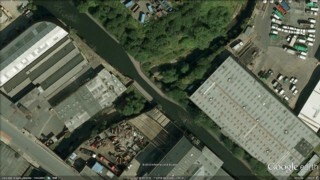 Le Confluent de Bordesley vu par Google Earth. 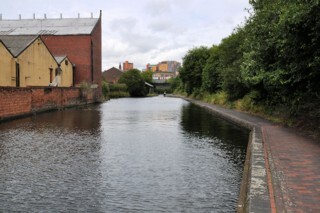 Looking to the North, the Digbeth Branch of the Grand Union Canal seen from Bordesley Junction. 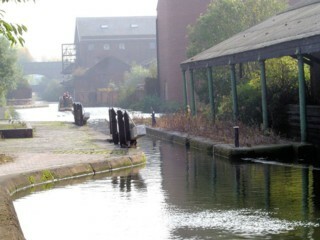 Les regards portés vers le Nord, la Branche de Digbeth du Grand Union Canal vue du Confluent de Bordesley.